Car hire from Palma airport is a very popular option for many passengers landing at Palma De Mallorca airport. Although getting to and from Palma airport is very easy and although there are many other lower cost options available, car hire from Palma airport provides passengers with a very quick, reliable and independent form of airport transfer. Not only does it mean that you do not have to wait for other passengers or struggle with your luggage on public transport, it also means that you have transport for the whole duration of your holiday. Having transport for the duration of your stay on the island is an added bonus, as it ensures you have the opportunity to see much more of the island and visit many places that you may not have seen had you not hired a car. Mallorca is a beautiful island with so many great places to visit and so many things to do and see. The public transport network throughout the island is very reliable and very efficient but as with any form of public transport, you are dictated to, as to what time you can travel. Many of the things that you may want to do during your stay may be restricted due to the times of public transport, which is why car hire can be a much easier solution. Car hire from Palma De Mallorca airport means you are not restricted to timetables or planning your day around other people. It means that you can pick and choose your own schedules and also allows you to reach places that public transports cannot. 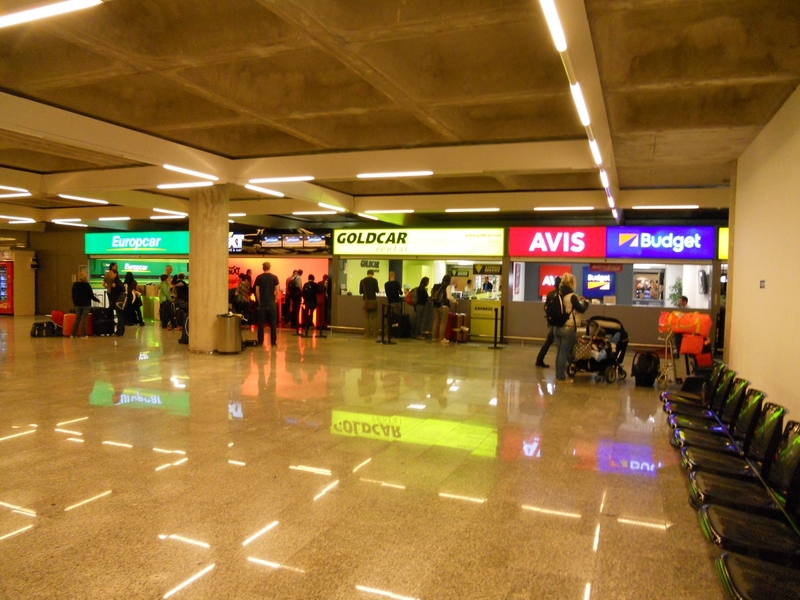 There are several car hire companies located inside the terminal building at Palma airport and these car hire companies are situated in the middle of the ‘Baggage Reclaim’ area. If you have pre-booked or are thinking of booking car hire from Palma airport, this is where you will need to take your paper work and other relevant documentation needed to hire the car. These usually include driving licence, a copy of the voucher, booking form or receipt issued when you booked the car and also a credit card. At the car hire desk, you will be given all the relevant paper work you need to hire the car and you will then be given the keys to your car. You will also be given a car ‘Condition Report’ which is a report of the condition of the car prior to you taking receipt of it. It is advisable to check the car yourself when you first collect the car and if there is any damage on the car that is not listed on the ‘Condition Report’, it is best to contact the car hire company and inform them of the damage that has not been listed. Once you have been issued with your paper work and the keys to the car, you will then need to make your way to the car park where your vehicle is parked. The car hire parking bays are located in the large car park opposite the main terminal building. 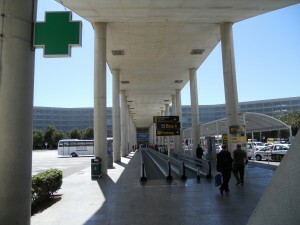 You will need to exit the main arrivals area and walk across to the car park and locate your car. The car hire companies that currently have a desk in the arrivals area at Palm airport are: Enterprise, Record Go, Europcar, Sixt Rent A Car, Goldcar, Avis, Budget and Hertz. As you can imagine, Palma is a very busy airport and queues can get quite long, especially in the summer months, so you may need to be patient. Car hire is relatively cheap from Palma airport, especially if there are several people traveling in your party where the cost of the car hire can be shared. When you calculate how much it would cost you in bus fares, taxis fares and train fares throughout the duration of your holiday and then compare that cost to how much it would cost to hire a car, I think you will be very surprised to find that car hire can generally be a much cheaper and much more convenient option! The price of car hire from Palma airport does fluctuate and the price is generally determined by a few different factors. The major factors that determine the price of car hire from Palma airport are time of year in which you are hiring the car, duration of rental, age of driver and demand at the time you wish to hire the car. The main factor is simply supply and demand! The car hire companies at Palma airport only have a limited number of cars that they can rent out and if the demand for these cars is high, so will the price be. It is always best to book your car hire well in advance because the sooner you book you’re your car, the cheaper it will generally be. The later you leave it, then the price will continue to rise once the amount of available cars begins to reduce. Booking early also ensures you get the car you want and saves you being disappointed. Purchasing you car hire at the airport on the day will only result in you paying top price for your car hire. This is because if you just turn up at the car hire desk inside the airport, you are a captive target customer and one that is in no position to be offered any deals or discounts. The car hire company knows that you need a car and that you have no other alternative accept to get one through them. If you are contemplating purchasing car hire at the airport, you will pay a premium price but if you pre-book your car hire well in advance, you will receive a far better deal. It is always advisable to shop around and compare car hire companies when looking for car hire Palma airport. However, the Internet is full of websites that offer car hire and it can sometimes be mind boggling and somewhat frustrating trying to find the best company to rent a car from. It can also be a bit of a nightmare having to constantly type in your details over and over again on each individual companies website. I would strongly recommend using one of the car hire comparison website that allow you to enter your details and then search all the car hire companies in seconds. They then provide you with a list of the best deals from all the major car hire companies for your chosen dates. Obviously it is your choice and decision as to which car hire company you choose but I have always found that the following companies consistently provide the best deals. Remember, if you see a deal that you are happy with, BOOK IT, as it may increase in price the next time you look!! We hope this information has been beneficial and helped you find the best deals for car hire palma airport. If you found it beneficial, please like this page using the button at the top of the page.